Gran Canaria is affectionately known as a continent in miniature and as such will have 7 wonders of its own. Located in the Atlantic Ocean as part of the Canary Island archipelago, just 150km from the coast of Africa, its beautiful warm climate attracts tourists year round. 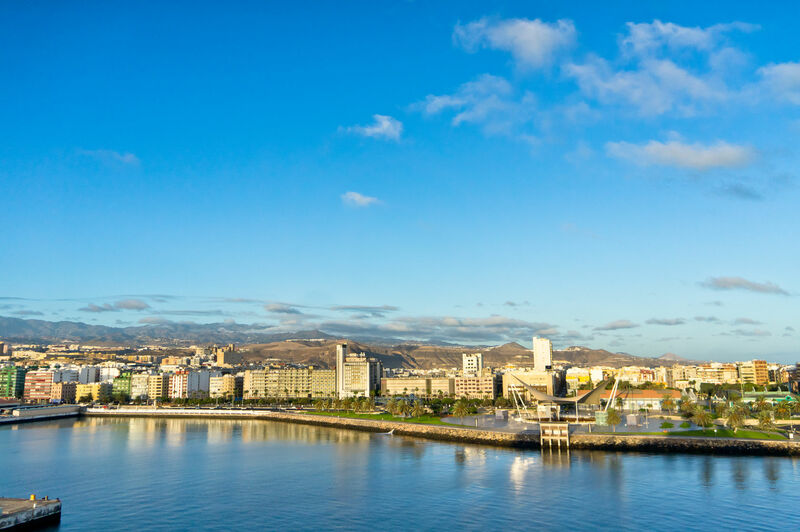 Landscapes ranging from lush greenery to arid desert dunes and activities from adrenaline pumping dune buggies to dancing in Las Palmas cultural festivals. 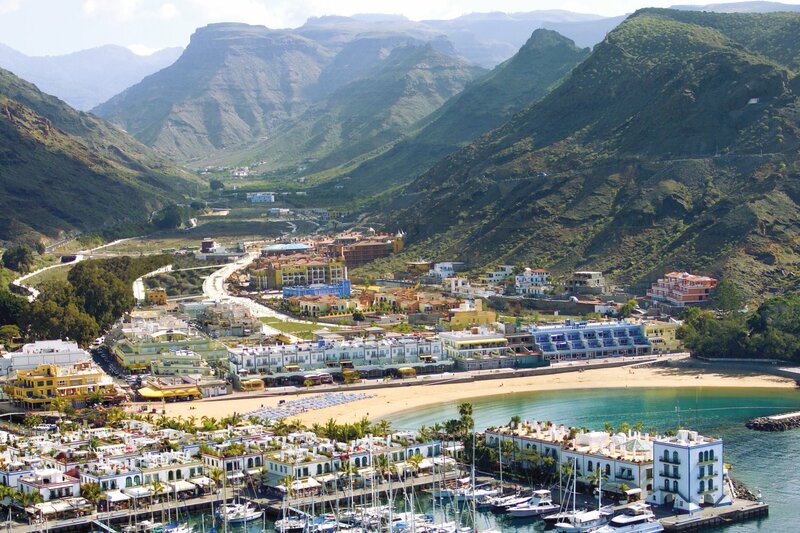 Whatever time of year luxury holidays to Gran Canaria are full of delightful surprises. If Gran Canaria is a continent in miniature then Las Palmas is a bustling city in miniature. The huge amount of things to see and do can probably be seen in a day, however it’s always better to take your time and adopt the Spanish way of life. Take your time to explore the different neighbourhoods of Las Palmas, in particular the old town of Vagueta, once part of Christopher Columbus’ travels it is now a UNESCO world heritage site. Painted with its colourful history you could spend a whole day wondering the cobbled streets to find hidden tapas haunts and hipster cafes. Take a stroll along the marina or meander through the streets dotted with historic buildings and small boutiques. The four large commercial shopping centres are also an excellent way to get your shopping fix. Not only that, surprisingly the city has its own beach, filled with clean golden sand and crystal clear waters you could spend all day soaking up the Canaries sunshine. To cool off, head to the natural garden ‘Parque Doromas’ and take a stroll in the lush greenery. Just outside the cities limits the 200m deep volcanic crater the ‘Cauldron of Bandama’ is well worth a visit. Well known hotels include the impressive ‘Ritz’ style Santa Catalina and the chic Reina Isabel. Transport– Bus 60 runs between the airport and city bus station and Taxis can cost around €30. You can also hire a bike for free to explore the city. Don’t miss: The Christopher Columbus Museum, Dining along the beach front. 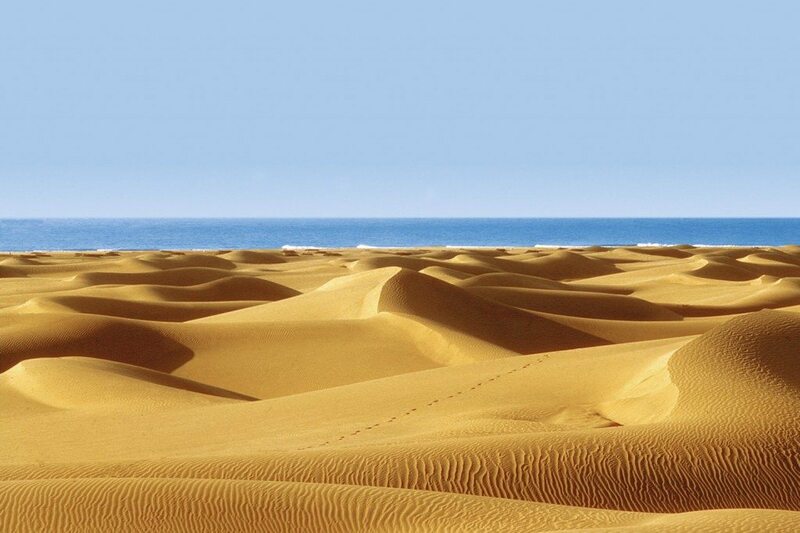 A real sight to behold are the sand dunes of Maspalomas. Feel like you’re in a Saharan movie scene before peaking at the brilliant blue ocean from the top of the dunes. The best way to see them is on foot although watch out a large section of the beach is dedicated to nudists and can often give modest tourists a bit of a shock. For something more unique you can ride a camel across the dunes or for the more adventurous hire a dune buggy. The beach areas are well equipped with information kiosks, sunbeds for hire, several restaurants and bars and don’t miss the lighthouse! Amongst some of its well-earned nicknames ‘little Venice’ comes to mind as you walk the charming streets of Puerto de Mogan. No place in the Canary Islands will keep you as enchanted as this pretty little seaside town. Tucked neatly in the south of Gran Canaria this old fishing village has been transformed in to a pedestrian haven bursting with lush green gardens and colourful birds of paradise who have decided to make this their home. The Marina is home to beautiful boutique shops and delicious restaurants and if this isn’t enough a beautiful sandy beach awaits on the shore. Things to do: On Fridays there is an exciting open market that fills the marina, the shops sell everything from shoes and leather to fresh fruits and African drum sets. A smaller market also appears on Mondays selling a much more modest array of goods. After a busy day exploring relax with a drink on some of the marinas beautiful terraced restaurants and watch the spectacular sunsets. The year round climate and beautifully warm waters of the Canary Islands makes water sports an essential part of any trip to the islands. Discover the coast on a Kayak or ride the waves on a body board, there really is an exciting experience for everyone. For the adrenaline seekers you can hire a jet ski and zoom around the seas surface or soar above the water with a parasailing experience. 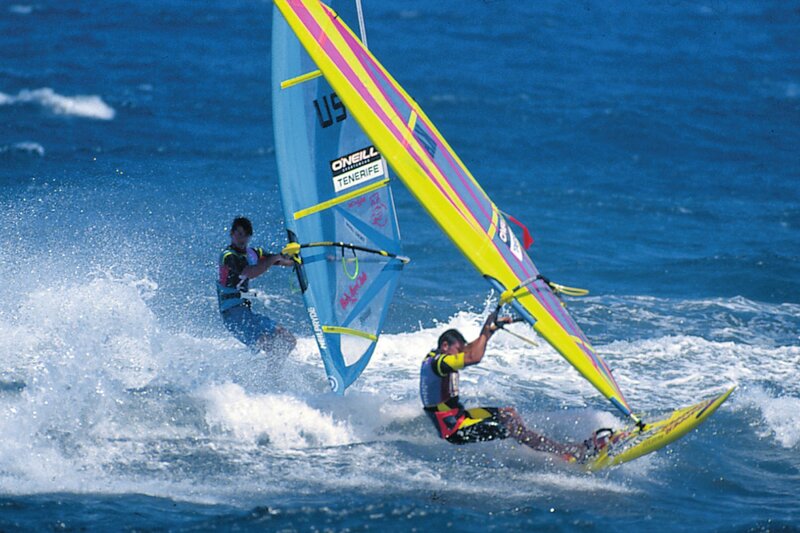 Popular sports also include, windsurfing, water skiing, banana boating, sailing and much more. An unmissable experience is Gran Canaria from underwater. Scuba diving is particularly popular in Gran Canaria due to the rich diversity of tropical fish and marine life habited shipwrecks. For those not wanting to Scuba dive the warm and clean waters mean marine life is also easy to spot by snorkelling. 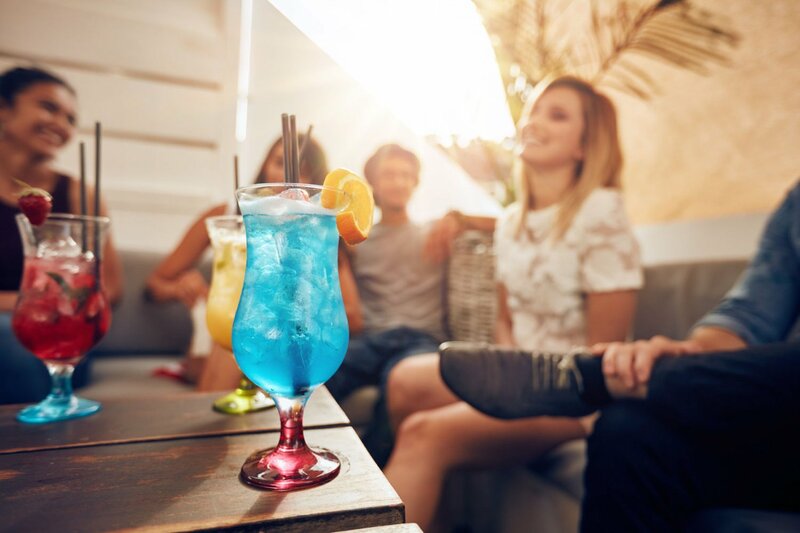 Gran Canaria is well known for its exciting nightlife, not just the typical ‘brits abroad’ but sophisticated bars with entertainment and popular local venues. The most popular resort for night life would be Playa del Ingles where nobody seems to sleep. Dance the night away in great places such as the famous Pacha disco bar or the Kasbah centre filled with a mixture of bars and shops to meet everyone’s tastes. Las Palmas is also an excellent town at night, whether it be local pubs or lively bars such as the paper club. For something more sophisticated Aqua ocean club in Maspalomas is a popular night time haunt. 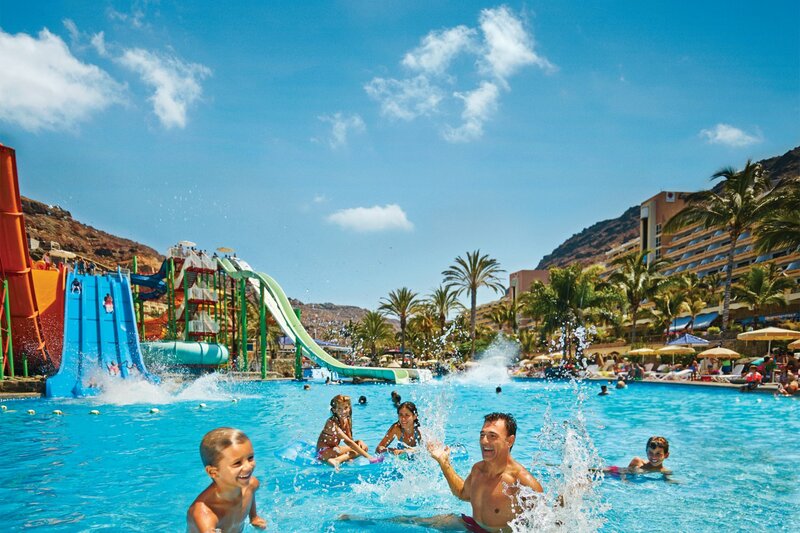 Aqualand Maspalomas- Fun for the whole family Aqualand is packed with exciting water slides of different shapes and sizes and fun family activity areas to splash around. Adult €28, Child under 11 €19. Holiday World Maspalomas- Packed with all your favourite fairground rides. Indoor arcade games and adrenaline pumping rides. Not only that Holidayworld is full of restaurants and bars for a truly great evening out. Admission is free, load a Holiday world card with points to use on the rides. Sioux City- Take a trip to the Wild West in Gran Canaria. Witness the robbery of the village bank and visit the Sheriff’s office, Sioux City is filled with fun activities for an exciting day out. Palmitos Park Maspalomas- Palmitos is a huge botanical garden and zoo. See the amazing dolphin show and discover the best of nature. The park has its own large aquarium and a great selection of birds, reptiles and mammals. You can also witness the largest butterfly house in Europe, walk in and be surrounded by a huge array of free flying butterflies. If theme parks are really your thing travellers can also organise tours and trips to nearby island Tenerife where you can add Loro animal adventure Park and the fantastic Siam Park to the theme park bucket list. Like the sound of these 7 wonders, or have some experiences of your own? Get in touch in the comments below we would love to hear from you. Gran Canaria not for you? 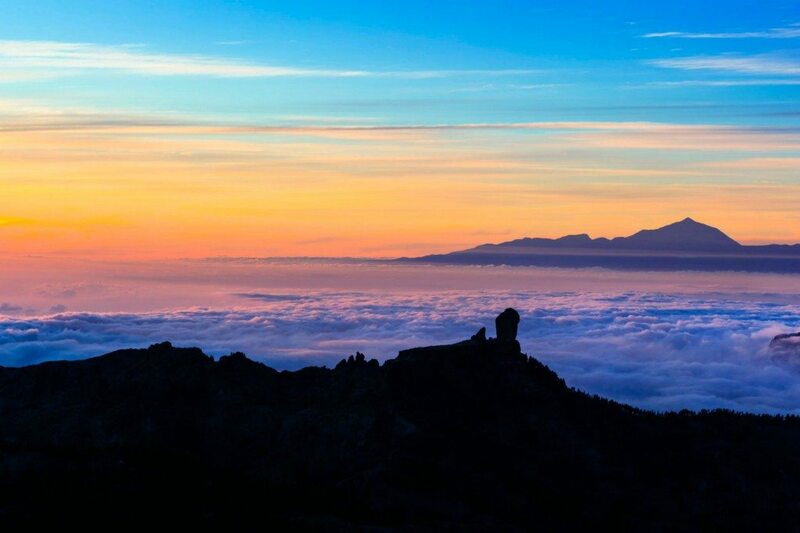 See what the other Canary Islands have to offer in our 7 Things to do in Tenerife , 7 Reasons to Visit La Palma or 7 Things to do in Lanzarote blog posts.